Gooooood morning! 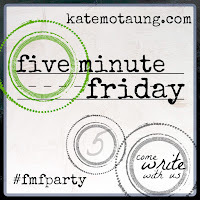 Thanks for joining us for another free write with Five-Minute Friday! 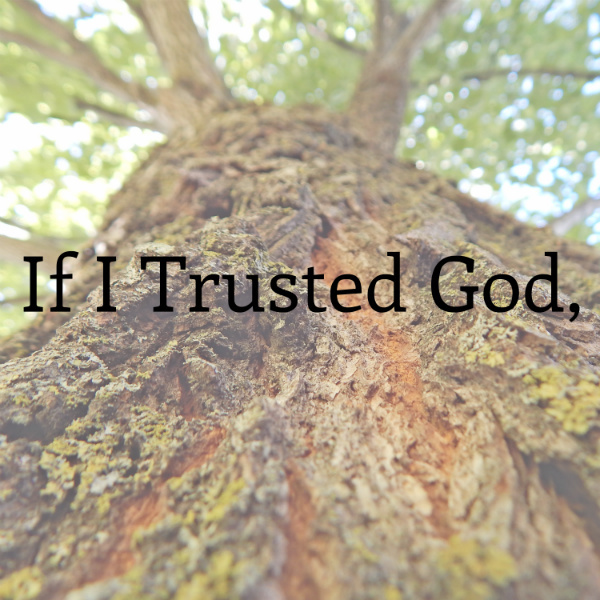 What would life be like if I really trusted God? I can say confidently that I trust the Lord and I know He works out good for His children (Romans 8:28) but it seems that my trust wavers throughout the day and life circumstances. When a worry or frustration arises, I get worked up about it for a while and, eventually, when I'm sick of mulling over it, I surrender it to God. Once it's in God's hands, I feel so much more peace and freedom. How different would my life look if I trusted God every second of the day? My worries would be replaced with peace. Is my husband going to come home today? I hope there haven't been any accidents tonight. Do you think the boys will grow up to be godly men? Are toddler boys supposed to be this crazy? Will God provide for our financial needs? I would be free to be the person God has made me to be. I would no longer question what so-and-so thinks of me or if this person likes me. I wouldn't feel insecure about my career choice as a full-time mom. I wouldn't feel anxious about sharing with others that we may homeschool our boys. I would be my goofy self more often. I would believe His promises and fill my mind with them. The lies that God is "mad at me" or that He is going to give up on me would be gone. The guilt and the shame of my past wouldn't try to return anymore. All negative thoughts would be replaced with God's perfect truth. I would tell more people about Jesus. The thoughts of them shutting me down or thinking I'm weird would be gone. Every insecurity would be replaced with confidence in my God and compassion for the people who don't know Him yet. My own ego would be out of the way and I would be on a mission for Christ, and Him alone. Starting today, teach me to live in complete trust in Your promises and who You are! Free me from my insecurities, from the fear of what others think of me, and the fear of bad things happening. Thank You for Your sovereignty and knowing exactly what we need every day! Show me how to live boldly and fearlessly for You. Lord, You are wonderful and I choose to rest in Your truth today and always. Oh, this is such an incredible read. Thank you for sharing your soul this morning. You FMF neighbor. Thank you for stopping by, Sabrina! What a nice post and great reminder to start my Saturday with! We are all human and yes we are not perfect, our trust in the Lord in our biggest asset! Have a great weekend! 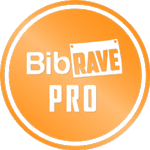 You've got that right, MB! Manitoba Hemp Hearts Review and GIVEAWAY!